Not too long ago, the AV world was quite simple. Audio was dominated by two-channel stereo listening. While many music lovers enjoyed quality audio on their high-end stereo systems, there wasn't a lot of focus on the integration of audio and video - namely, the audio part of the video experience. Most people used the speakers built into their TVs. For those people who did connect their TVs to the same stereo system they used for music, the audio quality was still pretty poor. After all, there was a limit as to how nice VHS audio could sound. As technology evolved, aided by the advent of DVD and multi-channel surround sound encoding, consumer demand rose to the next level. 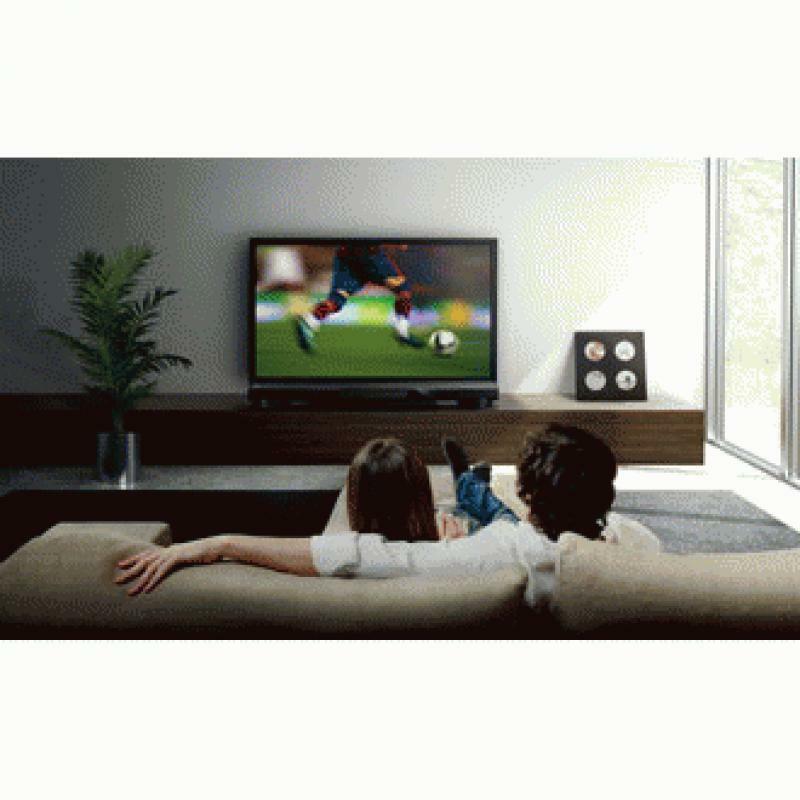 The concept of home theater - the idea that you could re-create something close to the cinema experience in the privacy of your own residence - was born. Products ranged from entry-level home-theater-in-a-box varieties, usually involving a modestly priced receiver/disc player and smaller satellite speakers, to very elaborate customized setups with dedicated high-end multi-channel preamps, amplifiers, speakers, and high-performance subwoofers. Product proliferation allowed consumers' tastes to diverge. Today, there are numerous products to suit the needs of people from all walks of life and for all budgets. 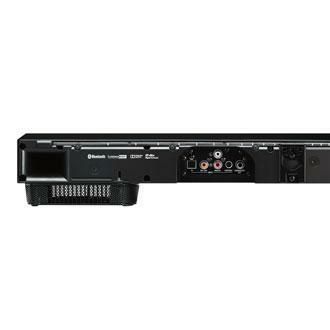 Some people may choose expanded complexity by enabling a 9.2-channel (or more) setup using an advanced receiver like the Sony STR-DA5800ES to power dual subwoofers and height/width front channels. Others may choose to find comfort in the solitude of putting on a great pair of headphones or earbuds, powered by an equally sophisticated headphone amp like the Bryston BHA-1. With the increasing number of options all vying for the same resources (the dollars in our wallets) comes the increasingly difficult challenge of comparing and evaluating those options. What is best? When things were simpler, it was far easier to say that a certain two-channel receiver was better than another. After all, they all did pretty much the same thing: take a source input at one end and power a pair of speakers at another. So in the end, the only real evaluation was, did one sound as nice as the other? One class of products that has gained popularity in recent years is the soundbar. Soundbars are filed as a subcategory within the Loudspeakers category here at HomeTheaterReview.com, but most soundbars offer a much different value proposition than traditional speakers. I think two questions - what is the product's purpose and who is the target audience - play just as important a role in a soundbar's evaluation as general performance. It's not as simple as, is this one better than that one? Rather, the question is: better for what and for whom? Enter the new Yamaha YSP-1400, which at a retail price of $449.95 is the lowest-priced entry in the company's YSP line of active soundbars. Higher-priced models in the lineup feature outboard subwoofers, more powerful amplification, HDMI video switching, 7.1-channel surround sound, and additional sound format decoding, among a host of other features. The YSP-1400, meanwhile, is designed to provide much of the basic audio functions necessary for a great home theater experience: 5.1-channel surround sound, basic Dolby Digital and DTS decoding, speakers, and amplification all in one chassis. But basic, by Yamaha definition, is far from ordinary. The "SP" designation stands for Digital "Sound Projector," which refers to the method by which the unit creates surround sound. Other soundbars often use digital signal processing "effects" to simulate surround sound, but you are not actually hearing sound from multiple directions. The YSP-1400 has eight 1.13-inch drivers aligned in a horizontal array; these "beam drivers" actually beam sound waves at the sides of your room. The idea is that the sound, bouncing off reflection points, will converge on your listening position from the sides and rear, so that you are hearing actual sound coming from surrounding positions around the room. There are pluses and minuses to this approach, which I will get into in a moment. The beam drivers handle everything from 500 Hz up, while two 3.25-inch subwoofers, inconspicuously built into the feet of the unit, handle all of the frequencies below that down to 45 Hz, which is the stated lower limit for the YSP-1400. The hookup was incredibly easy, which is consistent with the whole raison d'etre for the soundbar category in general. The YSP-1400 offers two digital audio inputs (one coaxial, one optical), as well as stereo analog and a mini-jack auxiliary input. The unit also has built-in Bluetooth to wirelessly stream audio from Bluetooth-capable sources. I connected my AT&T U-Verse cable box directly to the soundbar using the optical cable that came included with YSP-1400; I did the same for my Oppo BDP-105 for Blu-rays and music. Another connection option is to feed your sources directly into your TV and then run digital audio output from your TV to the soundbar; however, since I don't actually have a TV (I use a BenQ W7000 projector for video), I could not test this method. The YSP-1400 comes with an IR remote that allows you to easily switch sources and sound modes, as well as make various level adjustments. The remote includes a Learn function through which you can teach your TV remote the necessary commands to control power, volume, and mute. There's also a repeater function to help control your TV when its IR sensor is blocked by the soundbar. Yamaha also offers a free iOS/Android control app called HT Controller that includes a Custom Setup screen that provides more ability to dial in the room and listening-position settings than you get from the basic remote. Click over to Page 2 for the Performance, The Downside, The Competition and the Conclusion of the of the Yamaha YSP-1400 Soundbar review . . .